Successful businesses last because people admire them just as they prioritize the experiences served. Owner of successful restaurants, Baro and Petty Cash, Michel Falcon shares his secret sauce, the people first culture. Aligning the company’s purpose with their employees’, Michel talks about the seven-step interview process that determines the people who will become a part of their team. 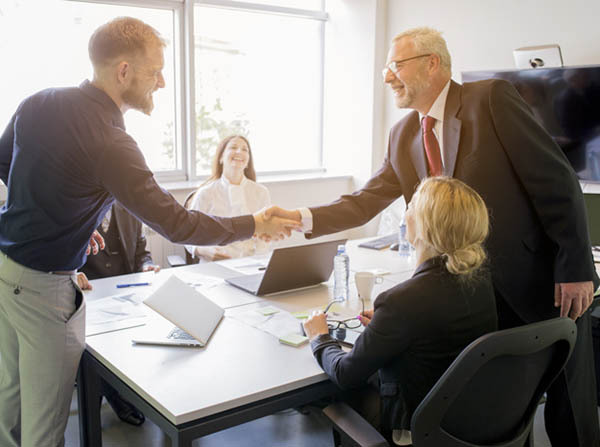 He puts forward the importance of getting to know the people you are working with as opposed to merely having a distant business relationship. Michel also talks about the business’ relation with their guests, and differentiates between customer service and customer experience. 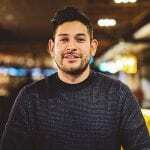 Our guest is entrepreneur Michel Falcon who owns and operates Baro and Petty Cash, two of the most successful restaurants in Toronto generating tens of millions of dollars with over 150 employees. We first met at MMT at the annual conference and we hit it off after discussing his People First Culture, which he released the book of the same name. Michel is a practitioner who is sharing his ideas as a keynote speaker all over the country and I am pumped to welcome him to share the secret sauce that is the People First Culture. Michel, welcome to the show. Jesse, thank you so much for having me. I’ve been looking forward to this. I am pumped for this because we speak the absolute same language. We say fans first, you say people first. It’s the same thing and I want to get some origin stories because I know our origin story is crazy about how we started The Savannah Bananas. You’ve grown Baro into a huge restaurant in a couple of years. Can you share how it happened and how you deploy this People First Culture? I didn’t have it codified and what I mean by that is People First Culture is described as building a business that employees and customers will admire. That was something I’ve always been trying to build and will always build if I venture off into something else. It wasn’t until about a year ago where I codified it. Our peers in MMT gave some suggestions and out of those suggestions came the People First Culture. It was one thing that I was going back and forth on and I settled on it. Hospitality is extraordinarily competitive, similar to entertainment and sports, in your world as well too. At the end of the day, you and I are in the same business because people are allocating their time and money to be entertained. Whether it’s at a ballgame or at a restaurant, we’re in the same line of work. How are we going to be different than our competitors? Our two venues are on a street called King Street in downtown Toronto. It’s definitely the most competitive street for entertainment and hospitality in Canada. I would argue it’s probably in the top five in North America. We could only differentiate ourselves through great cocktails and food for so long. It was the People First Culture that I introduced into the organization that allows us to remain competitive, earn loyalty through our guests and through our employees as well too. Not everyone cares about this. Many people are driven by revenues, profit, and growth. You were working with 1-800-GOT-JUNK? on the call center and then became part of this. How did that transition? People need to know a little context on how you went from one area to a completely different area. I started off in the call center. I was there for a few years. I got promoted once a year, so five times in five years because I gave myself to my career. It was early on in my tenure at the company where I recognized revenue, profitability, and brand admiration. All of these things can be achieved by building a culture of serving people and servant leadership. I learned that at 1-800-GOT-JUNK? I ventured off on my own and I started doing some management consulting under the topics of customer experience, employee engagement, and company culture. We started off with humble beginnings, working with small organizations in Vancouver but it was rewarding. The clients started getting bigger Blue Cross Blue Shield, Electronic Arts, and Verizon Wireless. Hospitality presented itself. A friend of mine named Brandon, who is now my business partner, we had always wanted to work together because we saw business from the same lens and how it should operate. He called me and said, “We’re opening up a 16,000 square-foot venue. We’re going to need 100 employees from day one. Our feasibility study says we’re going to do $10 million to $11 million a year in sales in the first year.” I was salivating. I was like, “This is an opportunity.” I missed being in the trenches. I missed having employees. Consulting and speaking to this day are still great, but it was just me. For years when I was doing management consulting, I missed being a part of the team. I missed building and all cards on the table. I wanted to prove to myself that I could do it again. I needed to get on the opposite side of the fence. We, as business partners, probably took a few years off our professional life opening up Baro because it was a mad scramble. We’ve built something special and now we’ve built Petty Cash, the extraordinarily popular venue in Toronto where individuals are waiting two hours to get in on Thursday, Friday, and Saturday nights. I want to get into the concepts that made these restaurants successful. I love how you break it down in the book: Purpose, Process and Profit. I want to go back to a little bit at 1-800-GOT-JUNK? I’ve interviewed Cameron Herold and I have Brian Scudamore coming on the show. As people leading the company, I want to know from an employee standpoint. We interview many entrepreneurs and owners and they talked about it from way up looking down. What made it special as an employee? You could say this is a brand that was admired. What was different about it? It’s the individuals within the business. Brian is somebody that I’ve stayed in contact now and he was a mentor. He was somebody that I admired and looked up to who is easily accessible. There are some organizations that have a floor in their building that’s only for executives that you need a special fob to be able to get to that floor. There’s no humanity in that. I felt 1-800-GOT-JUNK? was the type of business akin to the business my grandfather operated in the ‘60s and ‘70s. He operated one fish market. The only way he knew how to build his business was by connecting with employees and customers. What I’m advocating is that we need to start building businesses like our grandparents were. There was no such thing as Twitter or SEO or PPC. It was a straight handshake, rapport, and benevolent leadership. That’s what 1-800-GOT-JUNK? still has in the DNA of the company. Their slogan is, “It’s all about the people,” and they have that deckled on their wall and they truly mean it. It’s one thing to deckle a platitude on the wall or slogan of some sort, but it’s another thing to live and breathe it. 1-800-GOT-JUNK? did, continues to do, and I used it as a springboard to something else. That’s one thing that the organization pounds their chest on. I’ve brought this into my business too. I want you to be successful as individual team members. If you aspire to be our executive chef in a few years or our bar manager, let’s do it together. If you are using our company to secure your livelihood because you’re in school and you want to become a lawyer, let’s do that together too. I’m not scared of people leaving. The key is wanting what’s best for the person and not what’s best for the person in relation to your business. There’s a big difference there. You employ that and many companies don’t. It sounds like Brian and the leadership there was accessible. They were a mentor to you. You’ve taken that and run with it. There are many core beliefs that I have, one of which is why must there be a separation between relationships in your personal life and relationships in your business life? When I’m cooking dinner for my mother, am I thinking what the ROI of cooking this roast is? No, that would be psychotic. I’m doing this for my mother because I want to continue this strong bond. I want her to know that I care about her. I want it to be an opportunity for us to connect. Why is it that some organizations debate the ROI of systems and processes to enrich the lives of employees and customers at length? It’s a bet on humanity that if I take care of someone in my business or anyone that interacts with the brand, I believe the universe will sort me out as well too. I recognize that might sound a little fluffy but that’s the way I’ve chosen to run my businesses. We talk about love constantly here and we talk about us being a family. A lot of businesses are against the word family and they say, “It’s a team. It’s not a family.” We’re okay with the fluff because that’s how we are and that’s how we care about them. The ROI has paid off. Each person has their own experiences. The process section had many different details and unique things you’re doing, but you can’t go to the process if you don’t start with a purpose. You talk about your first section in the book, the purpose. My question is we talk about the purpose of the company, but how do you align the purpose of the employees? I want to know some practical examples because a lot of employees or people, they have their own personal purpose? What do you do with your restaurants with your leaders, but also your regular staff to align with the purpose? If the purpose of the employee doesn’t align with the purpose of the company, then there can be conflict. It doesn’t have to be attached to the hip. For example, I outline this person in the book. His name is Jordan Lopez. He joined the organization as a Marketing Coordinator and then got promoted to Marketing Manager. He reports to me directly. His purpose is to one day start his own digital marketing company. The purpose of the company is to deliver seamless experiences to anyone that interacts with our brand whether its guests, employees, vendors, the media, even the government. If we have to deal with taxes and we’re going to treat the government with great respect as well too. Understanding the purpose of the employee is where the rubber hits the road for some leaders. Either you’re going to do it authentically or you’re not going to do it at all. It’s about putting people first, fans first, and understanding someone like Jordan who wants to start his own digital marketing company. Our expectation is while you are with the company, you will deliver seamless experiences. The moment that you don’t is when we’re going to have a chat. While you are with the company, we ask you to give yourself to your work and to the workplace and to your colleagues and anyone that interacts with the brand. While you’re doing that, our deal or our mutual understanding is that we’re going to help you get to your purpose, whether that’s with or without the company. Somebody could genuinely tell me, “I want to start a restaurant or a bar or an event space of my own one day.” I would say, “Let’s do this together. Would you allow me to invest?” It has to be mutually beneficial. It can’t just be a take mentality. I don’t know how many companies generally have this within their operating model. The key is then how do you get the employees to feel safe enough to share and say, “I see myself in a few years. This is a stepping stone for me to get into this.” It’s to feel safe to share that with you because I would guarantee many employees won’t share that because like, “If they’re going to be leaving then I won’t focus on them as much.” You have Breakfast-N-Jam sessions you call where you connect with people. You have these different ones where you connect with your people. Do you ask them specifically, “What do you want to accomplish? What are your goals?” Do many people even know? We do. I do it on an individual basis through my Breakfast-N-Jams and by way of conversation. I also ask our general managers of our properties to do what’s called our GMO or general manager orientation, which is on day one of their employment. They will record their answers. This is an arbitrary number but probably it’s 50/50. 50% of the time somebody is clear on what their purpose is. The other 50% is they’re still in discovery. That’s fine to be in that discovery mode and it’s our responsibility to help you find that. During your time at working within our company, we’ll try to expose you to as many things as possible. For example, maybe come in as a hostess but in your off hours, you’re interested in the bar. We’ll connect you with our bar manager. Maybe it’s that side of the business that you might like. Maybe it has nothing to do with this industry. As a matter of fact, I had one of our shift leaders, Laura Conroy, who aspires to have a line of clothing for snowboards. She told me that and I happen to know somebody who I worked at Burton Clothing. I connected the two of them and I said, “I know somebody you need to talk to you. Let me connect you with them,” and that person very well might take her away from me and I’m okay with that. It’s having that confidence as a leader. 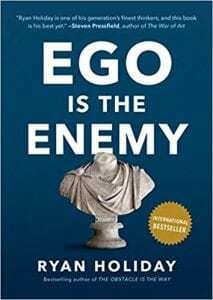 In the great book Ego Is The Enemy, it’s not letting the ego of the founders getting in the way of taking care of people. People are going to be intrigued with some of these unique things you do as far as the process. We’ve got to have our first game. It’s Business Jeopardy. Are you mentally prepared? Some of these are from your book. There are statistics from your book and some are about companies that put their employees and customers first. You need to answer a question. This is from your book but it’s tough to remember. This percentage of employees says employee engagement rises when onboarding is improved. Let’s come back to that one. Did you get another question? At this company, employees are paid $2,000 to quit after their first week. This publishing company was voted Top Business Culture in 2018 by Entrepreneur. They call themselves a tribe. They practice the whole self-training and all employees have an accountability partner. Scribe Media, you got that right. This company allows employees to spend up to $2,000 to serve their customers. I’ll go back to one more statistic. Gallup Poll found that highly-engaged business teams resulted in this percentage growth in profitability. It’s 21%. The one that you missed was when the onboarding is improved, 53% the engagement rises. Stats are hard to remember. It’s the stories and how they make you feel. Stats don’t necessarily make you feel something, it’s a number. It’s easy to remember Zappos and Ritz-Carlton because there are stories that go along with those. You’re onboarding. We can get into the details but maybe we should start with the seven-step interview process which is a game-changer. Can you go through it briefly? To give you context, I built this in a robust way prior to opening up Baro. We needed to go from zero to 100 on day one. I recognize that we’re operating in an industry that has high turnover. Individuals see hospitality often as a transient industry. If we were going to combat this, something needed to change and it was the interview process. Before joining my business partners, they had a one-and-done type interview process where if they showed up on time, they’re hired for the job. The first step is the phone screen. We ask five general questions. A couple of things that we’re listening for are how does this individual answer their phone? Is it in a professional manner or not? If they do represent themselves well as individuals, what’s the likelihood that they’re going to represent your brand well? It’s not 100% foolproof but if somebody doesn’t answer the phone in a professional manner or doesn’t sound excited to hear from you, then I’m putting an X next to their name and there’s one strike. We would always have people call us to see if they will call on time, but you’re calling them to see how they answer the phone. Is that correct? I call them and they don’t know we’re calling. We call at any time. Another thing that I’m listening for is what does your voicemail sound like? Does it sound professional? These are the little cues that I’m trying to pick up on from the first moment that we interact with them. First impressions matter. We know that matters when serving our guests. What impressions are we sharing with each other as potential colleagues? After that, we do something called the predictive index. It’s a two-question assessment that will tell us how this individual behaves in the workplace. What takes them off? What makes them tick? It’s a great tool that we use regardless of position. Is it always the same two questions? It is. Next is a culture interview. If the individual passes the phone screen and completes a predictive index, we’ll host a group culture interview. I hosted one for a senior marketing manager role that we’re recruiting for. It’s two people representing the company at the table. On the opposite side of the table, it’s up to four individuals that are competing for the same position. You ask them the same questions and the only questions that we are asking are two questions per core value that we have. We have five core values. We’re going to be asking ten questions. Each candidate needs to answer them. We only are focused on the culture at this point. The interview I went to, the only thing I knew about the people at that table were their first names. I didn’t know where they worked before. I didn’t even know if they knew how to do the job. The person that was with me, her name was Laura, who leads are people department. She knew all of that. The reason I did not want to know what their skill set was like at that moment was that I didn’t want to be jaded by their past experiences. The only thing I was focused on was is this individual going to fit within our culture? Often, if you go into an interview and you’re like, “This person used to work at the Ritz-Carlton.” You become enamored by their past successes that you neglect to recognize that this person is talking about from their culture. It’s set up like a pyramid. If you don’t get through the phone screen, you don’t move to the test. If you don’t get through the test, you don’t move to the culture interview. The huge point in this was the questions per core value. Here at Fans First, we will always be caring, different, enthusiastic, fun, growing, and hungry. Yet, we always check about the caring. Are we talking about how much they’re growing? How much enthusiasm do they have? Do they think differently? Do we ask all those questions? That is such a smart way to interview. What I’m intrigued about with you is your leadership. What if someone is a hostess or a line cook in the back? Do they go through this exact same process? The questions change in the skill set and the assignment portion, but they go through the same process. Nobody is excused. If you have four people that are interviewed, you ask the same question. Isn’t the third or the fourth person almost felt they’re recycling the same verbiage? I’ll ask question one. I’ll start from the left and go to the right. The second question starts from the right and goes to the left. That way the people at the ends aren’t the ones that will always answer first. That’s how you combat that. It’s also interesting to see how people respond to being the last person to answer me like, “They took all my answers.” It’s interesting to see how that happens. If they have the culture and unbelievable as far as the core values, you can to an extent teach a lot of the skills. At least in our business, you can. Do they have the culture? Most people probably ask one culture question, if you’re lucky at the end. I bet you a lot of people don’t make it past that? They don’t. I don’t have the statistic to share with you. For example, the interview I mentioned, I’m not going to be welcoming back two individuals out of the four. I’ll do that respectfully. The other two individuals will move to the next step, which is a skill set. To go back to the culture interview, one of our core values is a celebration. The questions that you ask related to the core value don’t even have to do with work. The question that I asked because I felt changing up the questions on the fly and I had Laura looking at me be like, “Those aren’t the questions that we ask,” but I was going with it. I’m trying to understand if these people know how to celebrate each other? Our core value is we celebrate our guests and we celebrate each other in the workplace. I asked them a question. I said, “When’s the last time that you planned a birthday party or a housewarming party, some event?” I want to see if they know how to be celebratory. I asked, “How did that make you feel after you hosted that event?” It was completely unrelated to work. I was trying to figure out how they how they operate as an individual. To keep going through the process, the next one is the skills interview. This is where I care if they know how to do the job. If they pass that, they go to an assignment. It’s a take-home assignment and it will be something let’s say we’re hiring for this marketing manager role. We will have them edit three pages of copy for grammar and diction. We’ll have them complete a mock Facebook ad and do a couple of things at home related to the role. That will take them anywhere between four to eight hours. I send it to them on Friday at about noon or afternoon, and I ask them to send it back to me by Monday at 10:00 AM. The reason why is because I want to see who’s willing to give up a portion of their weekend to work for our company. If somebody is not willing to give up a portion of their weekend to join our company, I don’t know if they are fully committed to their career. Especially with senior roles, this is your prerogative. If you want your weekends to go and entertain yourself, that’s 100% fine. I’m attracted to individuals who are like, “I’m going to give myself my career and I want to join this organization.” About 50% of candidates will drop off at that point. That’s what I want. I’m trying to squeeze people out early because that’s a great way to increase your employee retention. Probably a lot of entrepreneurs are struggling with that because you want people to have their own time. I guess it is showing for us like, “Are you hungry? Do you want to be a part of this?” In the restaurant industry, you do work on weekends. It’s a little different if you’re a 9:00 to 5:00 and you’re asking people to do all your work through the weekend. That assignment seems almost off-putting. This I can see because you’re going to have to work late nights, weekends. That’s part of who you are. You go from the phone screen, the test, the culture interview, the skill set, the assignment. What are the last two steps? They’re the decision and the offer. Two people will always come together for the decision and two individuals have to sign off on every single candidate, who represents the company. The offer is something celebratory. We don’t send an email and say, “You’re hired,” or have a boring conversation. We try to make it celebratory because some of these individuals might be relocating to join us. They might be leaving a workplace. They’ve been there for a few years. We want to make this celebratory for them. I jump on the phone with them and make it fun and welcome them to the organization. 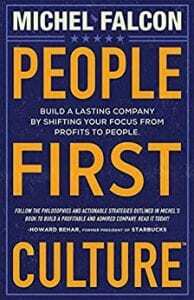 People First Culture: The people at the ends aren’t the ones that will always answer first. The onboarding is where we have a lot of fun. We’ve taken a lot of focus on this as well. We try to create the most amazing first day for our people. I love a few of the things you do. The $20 question and surprise, share that one. I’m a big food guy and I don’t know if it’s live without because that’s tough. I’m a huge burrito guy. I would say Monster Burrito. Let’s say we were operating a venue in Savannah where you’re based. On day one, the first thing that you are introduced to is a handwritten card signed by the partners or the general managers of the venue welcoming you and thanking you for choosing us to be your workplace. You’re presented with your $20 gift along with the peers that you were hired with. Picture yourself being in a training room. You’re given these gift baskets and gift bags that have a handwritten card and then you have a gift certificate to your Monster Burrito. The person next to you has a bag of red Skittles. The person next to you has bags of Cool Ranch Dorito chips and then somebody has a red nail polish. The reason we do this is there are a number of reasons. One of which is we’re trying to create an experience for you that you’ve never seen before. As soon as you hit the floor and start serving our guests, we’re going to ask you to do the same. We would never tell you to do anything that we wouldn’t be prepared to do for you first. That’s the whole ethos of the People First Culture. Not only that, you’re about to go into training. If we’re able to pull at your heartstrings a little bit and make you feel something you’ve never felt before in the workplace, that sense of care, you’re going to go into training with high engagement. Having high engagement during knowledge training is important. The likelihood that your knowledge retention will be higher once you’re done training is that much more achievable because we did something for you that made you feel appreciated. You’re going to go home and tell your spouse or your best friend or whoever might be. Similar to you, we’re trying to do things differently in an overly competitive industry. The $20 question you ask it way early in the interview process so they forget about it. When they start a week to a month later, they’re all of a sudden like, “I can’t believe they remembered,” and you’re setting the tone for caring. You set the tone for caring in the interview process. It’s asking those questions and taking notes. You got to listen carefully but respond creatively. We heard some people that want to go to this concert. Do you surprise them with that? When you hear those things, what do you do? There are things like that and I love that onboarding. I also love the two truths and a lie. Are you doing that or you heard of the company that’s doing that? We are doing that as well too. Bonobos is the company that I learned that from. It’s a way to bridge the gap. Sometimes we’ve hired people who haven’t integrated themselves in the company too well only because they’re a bit shy. We thought to ourselves, “How can we better this?” With their permission, we say, “Do you want to play two truths and a lie with us?” Once we tell them what it is, it’s like, “We want you to tell us what are two things about yourself that are true and one that’s a lie. We’ll gather that then we’ll email everyone in the company. The first person to approach you and determine which ones are the truth and which ones are the lie get a gift certificate to the restaurant.” That allows individuals to be integrated into the company and have people from different departments come and speak to them. The key is you want to ensure that person is comfortable playing the game because it could be overwhelming for them if 100 people in one day came to talk to them. Get their buy-in first and then do it and it works well. It gets everyone to know each other in a fun way. It’s brilliant and we’re going to start putting that into play. The chapter that stood out was, “Make your employees cry.” I knew where you were going with this. You’re not coming in and berating them. You’re bringing something that I like to call here happy tears that we try to create. Can you share something from that? It’s an emotional experience. I’m genuinely trying to make employees cry because they know how much we care about them. It’s an emotion that I want them to invoke and feel throughout their tenure of our company. If there’s something that I can do to make them feel something that they’ve never felt before in their workplace, that sense of care, then we’re going to do it regardless of whether the ROI is there or not. I mentioned in the book that I personally paid for an employee to go see her mother in Columbia that she hadn’t seen in years. When she told me that story, I thought to myself, “If I didn’t see my mom in years, it would cripple me.” I got to do something about this. Nobody in the company knew that I did that. The first time I announced it was in this book. I wasn’t looking for admiration. I wasn’t looking for accolades. It was like, “This is the right thing to do.” She left. She saw her mother. She came back. She realized that she wanted to do something else with her career and she left. I was fine with that. I’m not going to be like, “Pay me back.” I was like, “So be it.” I now can live my life knowing that I connected a daughter and a mother. There’s not much more beautiful gesture than that. It’s setting the tone. It’s those stories is what builds a company. You can talk about your core values or beliefs, but that now people will talk about this. You could talk, “This company cares. We care.” It’s until you do things like that with something someone leaving. It didn’t work out where they’re going to be with you forever, but you did the right thing and that’s powerful. Making your employees cry. We think about happy tears. Those moments where you’re happy you’re crying. We’ve had fans go through at the stadium where, “Don’t worry, these are happy tears.” I had an eight-year-old kid tell me at a game because we surprised him with all these gifts and made it the best night of his life. Those are the moments that matter. This is the perfect segue for our next game, truth, and dare. Which one would you like first? What’s one moment in your business that you cried? That you became emotional over something that happened. I came close during my book launch. I had our team members come together and do what’s called Micro Customer Experience to me. A Micro Customer Experience is outlined in the book and I’ve been advocating that we must do this for our customers. Come book launch day when I threw my book launch party at our venue, they did it for me. They did this gesture for me and they got this bag of goodies of everything that I love. A pair of Nike workout shoes, a tee shirt, a business magazine. I didn’t so much cry as I did feel like, “We’ve built something special.” Not, “I’ve built something special,” but, “We’ve built something special.” That was at that time. I’m saying this theme over and over again. It is the emotion economy. How do you make people feel? You probably felt so proud you’ve built something and that is what this People First Culture creates every day. That’s the huge theme. Michel, don’t think you’re getting away from the dare. This is a game we play at the ballpark. It’s called a sing-off. We do it between the entire stadium so one whole grandstand versus the entire grandstand. When the song stops, you have to finish those song lyrics. Are you ready? I don’t know it. Is that Steven Tyler? Yes. It’s the famous song Cryin’ by Aerosmith. I was going to the theme crying. I was trying to make your employees cry, going with the theme there. You mentioned this in the book, the employee advisory board. We’re putting it into our company. Can you explain it? Every single company that has part-time staff should put this into action right away. It is a team of individuals within the business who are elected by their peers to meet with my business partner, Brandon, and I for four hours once a month in an off the record conversation. At the table is one individual per department so one dishwasher, one sous chef, one bartender, one hostess, and so forth. We ask two questions. One is what the current state of our workplace is? The good and the constructive. Two, describe the workplace of your dreams. Brandon and I capture all of the notes again. Team members shouldn’t say, “I believe our general manager should do X.” It’s, “I believe our management team has an opportunity to do Y,” so keep it general because we’re not trying to attack people. We’ll take the feedback and then we’ll immediately call a meeting with our management team. More often than not, it’s our GM and our AGM. We’ll say, “Here’s the feedback that we’ve got gotten.” This is anonymous so there are no names attached. We’ll say, “Is there any validity to any of this?” There is an opportunity to improve and sometimes there’s justification in why our management team might be doing certain things. I say, “If there’s a reason why you’re doing these things, you must communicate better.” When there’s the absence of communication, assumptions are going to be developed within the team. We go to the next month’s meeting and we talk about the feedback from the month before and then get into new feedback. 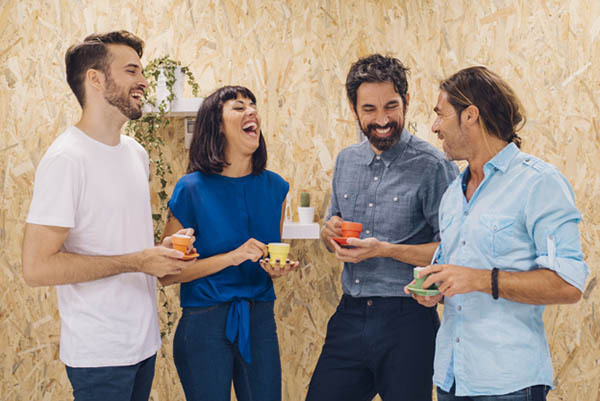 People First Culture: It is a beautiful gesture for a business to create a great emotional experience for their employees. It’s great because of a number of reasons. One, as the operators myself and my business partner, we find out things that sometimes we wouldn’t have heard about. It keeps us in the know. It allows us opportunities to contribute and building more operational initiatives and improvement plans. It gives the team member higher morale because they’re meeting with the owners of the company and they’re able to voice their opinion. 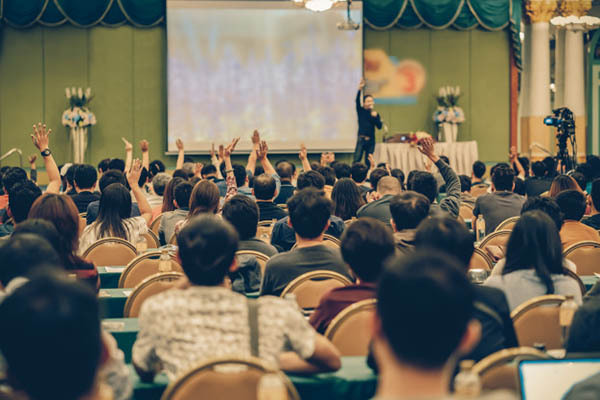 It’s worth noting as well to the individuals that represent their department are responsible for crowdsourcing and their peers’ information for the meeting as well too. It’s not just their opinion. If they know about the next meeting, I’ll give them ten days to gather feedback from your peers. That way everybody has a seat at the table. You’re showing the people that maybe just started or that they’re part-time staff that you care as much as the leaders that are driving the company. Many entrepreneurs aren’t doing that. In your book, you talked about the line cook Eric who said, “This is the first company I’ve ever been proud to work for.” How many companies are thinking, “Do their people feel proud?” and if they feel proud, what are you doing to make them feel proud? Eric Lockwood, that was one time where he shared something with me. I was like, “We’re making a difference.” Are we solving world hunger? No, but for the Eric Lockwoods, they’ve never worked in a workplace where they have felt proud before. You changed my thought process. It’s no longer training, it’s educating. I read that and that was from JT McCormick, the CEO of Scribe Media. I read that on LinkedIn and I was like, “That is brilliant.” I’m paraphrasing but we train dogs and we train dolphins and elephants. We educate team members. I’m a language crusader in our business. I don’t like the word staff. Even customers, I prefer guests. In our industry, they refer to the area where the dishwashers work as the dish pit like, “Who on Earth wants to work in a dish pit?” That is derogatory. I was like, “This is the dish area.” We’re not the backup host. We’re the heart of host. We learned that from Ritz-Carlton that language matters. How can you eliminate negative verbiage? Getting rid of the, “No problems,” and “Don’t worry.” Whenever you say don’t to something, usually, the next word is negative. We think about the same thing and that’s part of you talking about your education program. Instead of two weeks, three weeks of training before our season, we’re going to call it Fans First U. Where we teach, educate, and coach for two weeks about our curriculum of who we are, how we make people feel, what we stand for. You did a great thing. Customer service versus customer experience is a big difference in your mind. Customer service is actions. When you go to the grocery store and pay for your groceries, that individual is delivering action to you. Customer experience is a collection of interactions that your customers have with you from beginning to end. Those interactions must be designed and maintained. Where you excel now is where you might be irrelevant tomorrow. If you want to prevent that from happening, you must continuously refine your customer experience. My biggest fear as an entrepreneur is becoming irrelevant. That’s generally what keeps me up because I don’t want to rest on laurels. I don’t want us to even know that we’re great because one of our core values is humility. Our RMPS is through the roof. Our Google reviews are through the roof. I do want us to celebrate but not for too long. I have a rule of thumb and this is just for me. If I do a good job at a keynote speaking engagement that I’m hosting, I celebrate for seven minutes. I time it on my phone. It’s enough time to drink tequila and/or eat a Big Mac and then it’s done. I’ll review why we did a good job or why I did a good job and then it’s over. I continue forward. It’s working for me. The irrelevance, I think about that as well. I believe when you’re on top your game is almost the best time to reinvent and people get complacent. I want to finish with a quick flip the script and then our final two questions after that. I’ve been grilling you Michel, so it’s your chance. You are now the host of the show. You can ask me any one question. If you were to partner with any recognizable business person to start a business, who would it be and why? People First Culture: Where you excel now is where you might be irrelevant tomorrow. I’m going with Walt Disney. I understand he’s not here. He’s been gone for many years. I’ve looked up to him. I’ve read every book on him. He had this vision that is unbelievable. He’d always say, “It’s fun to do the impossible.” He dealt with more adversity, more hardships than many entrepreneurs could even fathom these days. He kept pushing because he had this big vision. He started small and kept thinking bigger and bigger. The great thing about Disney is that he’s been gone for many years and still the core values of the company are stronger than they’ve ever been. That doesn’t happen. You’ve got Chick-fil-A with Truett Cathy, you’ve got Walt Disney but few companies say that and that means he built something that’s unbelievable. He would be the person I would build and know that the legacy would carry on for many years. Final two here, what have you done to stand out in business and in life? To do the ordinary exceptional. I often think such as serving your community, onboarding your employees can be things that are passive and people approach in a passive manner. If I’m going to do anything, and I don’t do everything, I want to do it exceptionally. Whether that’s in my personal life or my professional life, I have to do everything with a great sense of purpose and passion and it has to line with my values. I say this in the book. Individuals might not use this exact language but I want people to think that I made them feel safe. Whether that’s my mother or my sister when we’re walking down a seedy street in Toronto or my employees feel safe in their workplace. It has nothing to do with physical harm or protection. I was in an environment that allowed me to thrive and I felt safe there. They had my best interests in mind. I want our guests to feel that way as well too. They don’t go out every single night, but when they do go out they want to come to my properties because they know that we deliver a great experience. That’s how I want people to remember me and throw in a couple of other things as super high integrity and he did what he said he was going to do it. Doing that the first time I met you at MMT, I felt connected with you. I was like, “This guy is amazing.” You’re a practitioner. You’re doing it. You’re not just teaching it, you’re doing it. You’re learning every day. This People First Culture made an impact on me. I’ve already shared it with the business, all of our employees here. How else could people connect with you, Michel? You are doing things and you’re someone to watch over the next few years. Thank you. My parents are blessed and cursed me with this unique name. There’s nobody else online with my first and last name. Go online. Go on your social platforms whether it’s Instagram, Facebook, YouTube or whatever and search my first and last name. I’m probably on there. It’s @MichelFalcon. Connect with him. Any final words you want to leave us with? I’ve heard many people talk about Savannah, Georgia and how nice it is. I probably should head over there. We’re going to have to host you. You’re going to have to go bananas with us. Hopefully, we can give you a People First amazing experience. Michel, thanks again for being on the show. Thank you so much, Jesse. I appreciate it. As an entrepreneur, Michel has grown a hospitality company with over a hundred employees and tens of millions in yearly revenue. The strategies and tactics he shares with his clients and audiences are the exact ones that he has successfully used in his businesses – you can trust these programs because they are tried, tested, and true.